If you have been sifting through the various marketplaces for WordPress themes, both free and paid, sometimes a feeling of helplessness might have taken hold of you. The oversupply is so massive and the theme descriptions are so unexpressive. The demos built are image-laden, but otherwise stripped to the bone. You cannot make an educated choice. Luck is what you have to hope for. Crocoblock takes this insecurity out of the game by many means. First, this brand-new theme club does not start with 15,000 themes in stock, but grows slowly by two themes weekly. At the time of this writing, a relatively small number of 75 themes were in stock. All the themes are fresh creations and have not been seen elsewhere before. All themes are made with compatibility to the main e-commerce plugins WooCommerce and JigoShop in mind. Want to integrate a cart? 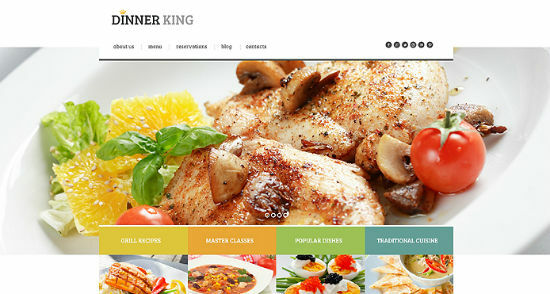 Go ahead with whichever theme you like, though they have some dedicated e-commerce themes there, too. 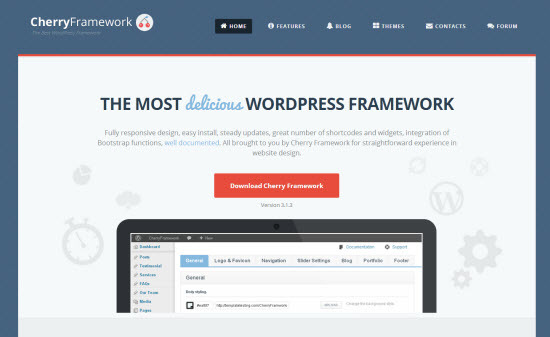 All themes are built upon the same foundation called Cherry Framework. The Cherry Framework in itself is an advanced theme with Bootstrap integration. It is released as free software under the terms of GNU General Public License, so anyone can freely develop their own themes with it and use them as well in private as in commercial projects. All Crocoblock themes are Child themes of its Parent Cherry. This ensures they all share a common foundation as well as a common feature set, something to build upon, to rely upon. 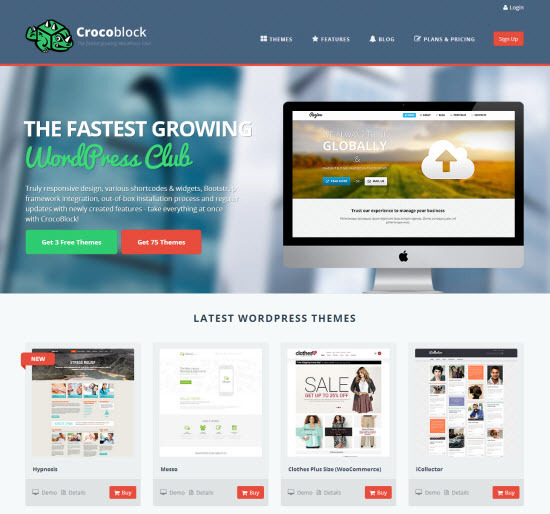 First and foremost, all Crocoblock themes are fully responsive, integrate the latest WordPress formats, Google Fonts and custom elements, widgets and more. Over 80 shortcodes are supported. The configuration and customization can be done from the backend, which is great news for the not so code-savvy. Importing and exporting content as well as organizing your data backup strategy – all done from the backend. Furthermore, all themes are ready for localization and include all the imagery. Even the source files, usually PSD are part of the package. Crocoblock is not free, though. At least not for more than these three themes you can grab a hold of by simply opening a free account. Crocoblock’s club membership comes in different flavors. Take a look at their pricing here. You can choose from three membership plans plus one annual plan. The Standard membership costs 55 dollars for the first month with no renewal. The Standard membership does not include images licenses and PSD files and no e-commerce themes. 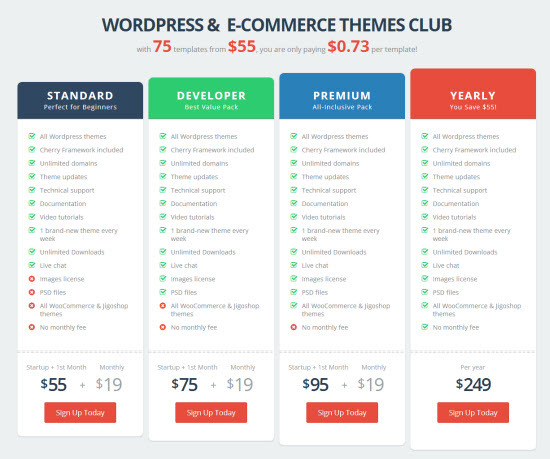 The Developer membership contains the image licenses and the PSD, but not the e-commerce themes and weighs in at 75 dollars for the first month with no renewal. 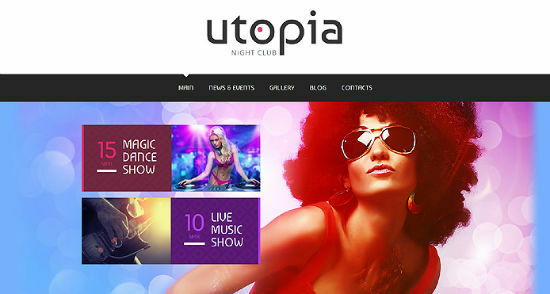 It is only the Premium membership that entitles you to all they got, including e-commerce themes. This membership costs 95 dollars for the first month with no renewal. If you want to become a member and stay one, shell out a monthly fee of 19 dollars and be a real club member. This 19 dollars fee is valid for all the plans introduced. If you know you want to stay for a full year, choose the Yearly membership for 249 dollars and save 45 bucks in comparison to the Premium membership for a year. Going for the monthly subscription allows you to benefit from all future theme releases as opposed to only those released in the one month of your one-time fee membership. Updates to the framework and the corresponding themes are also only available to subscribers and so is the 24/7 support once your first month has ended. Themes you downloaded during the time of your membership stay available for your projects in their original state (without core and themes updates, that is). You need not keep a monthly subscription for licensing reasons solely. All you need to do is tell us the name of your favorite Crocoblock theme. The winners are drawn at random from all entries. The raffle has no regional restrictions. Wherever in the world you happen to have internet access, participate. The game runs from now until July 2nd, 2014, 6.00 pm CEST. Don’t forget to leave a valid email address below, so that we can get in touch with you in case you win. All the addresses entered stay safe and sound here at Noupe headquarters and are not given away to any third party. Good luck!